Elizabeth Banks' Charlie's Angels is about to start filming and Kristen Stewart is excited to bring the franchise to a new generation. 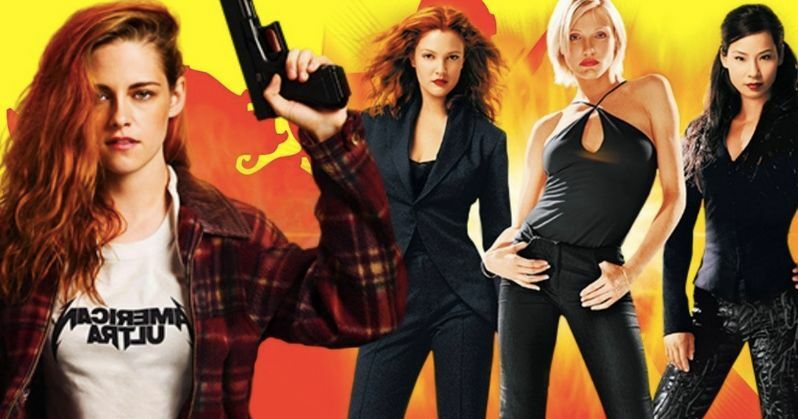 The actress stresses that the reboot is going to be something different form the 2000 and 2003 movies that starred Drew Barrymore, Lucy Liu, and Cameron Diaz. According to Stewart, Banks is bringing in a unique humor, which helps keep the project moving forward while paying tribute to the past. In a recent interview, Kristen Stewart provided some information about the Charlie's Angels reboot. Stewart states that they "are not trying to do an impression of the last one," which sounds promising. She also adds that she was unsure at first of whether or not people would be open to a reboot since she, along with many others, love the last two movies so much. But in the end, Stewart believes that they have something special. She explains. "The re-imagining is so grounded and well intentioned and really shows the way women can work together now. It tries to be warm and funny, but it lacks a kitsch element that we have seen before that works so well." Kristen Stewart is joined by Naomi Scott and Ella Balinska in this latest Charlie's Angels adventure. And in addition to directing the film, Elizabeth Banks will take on the role of Bosley. As for what we can expect to see, Stewart says that she has been doing a lot of kickboxing training lately, which means that there's definitely going to be some trademark action scenes, continuing the tradition from the original TV series and the previous movies. When she's not training for the project, she's talking to Elizabeth Banks to get prepared for the role. Star of the 2000 and 2003 Charlie's Angels movies, Lucy Liu, recently gave her blessing to Elizabeth Banks' reboot of the franchise. Liu believes that it's exciting and will also be a "more positive result for women." The first Charlie's Angels film was a massive box office success, earning over $264 million against a $93 million budget. And while the second installment didn't do quite as well, both films brought the franchise to a more sophisticated audience. Kristen Stewart also revealed in her interview that she has yet to meet her Charlie's Angels co-stars, but says that she looks forward to meeting them very soon. Elizabeth Banks will produce the reboot with her production company, Brownstone Productions. Banks also created and produced the popular Pitch Perfect franchise and was asked by Sony to take on the Charlie's Angels project. In the end, Banks hopes to do the franchise justice, and according to Stewart, she's already ahead of the game. You can check out the rest of the interview with Kristen Stewart about the Charlie's Angels reboot over at Entertainment Tonight.